Allmusic.com’s blog is doing vintage music-related ads. 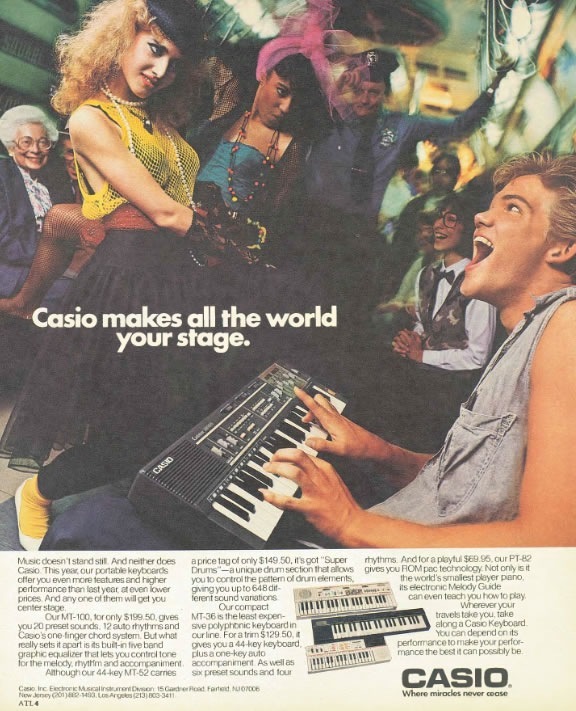 A true classic: this ad for Casio keyboards. Grab an MT-100 and some hair product, hit the NYC subway, crank your volume, and pick up trashy 80s women! The NYPD will nod in approval. Wow, now I know how to supplement my income. Thanks to Zach Steiner for this one! Just don’t circuit bend that MT-100 — then you might run afoul of the policeman.